Two years ago I read this fantastic book called Chasing Daisy (description below) and after that searched the author of the book Paige Toon I'd never heard of her before. So I was surprised when I found out that Chasing Daisy was her third book. Immediately I went to my local library and ordered Paige Toons other books. 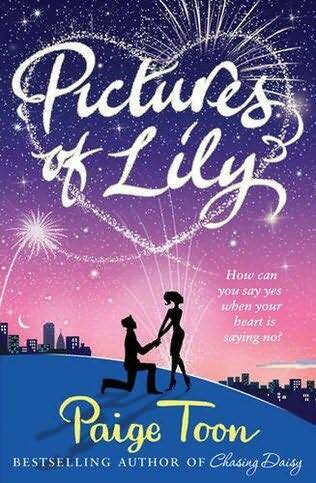 Ever since Paige has been my ultimate favourite Adult Fiction Author as she is just brilliant! Below I have gave your a description of each of Paige's books as well as abit about her. Then the interview below that and also about her new upcoming novel the sequel to Johnny be Good. ﻿Paige was born in 1975 and her dad’s career as a racing driver meant that she grew up between Australia, England and America. Paige worked at heat magazine for eight years as Reviews Editor, but left to have a baby. She is now a full-time author and freelance journalist.Currently living in North London with her husband Greg, son Indy and daughter Idha. sun will be anything out of the ordinary? Seriously! I am not even joking. No, I’m not a stalker. I’m his new PA. His Personal Assistant. And I am off to La-La Land. Los Angeles. The City of Angels – whatever you want to call it – and I can’t bloody believe it! Celebrity PA to wild boy of rock Johnny Jefferson, Meg’s glam new life in sun-drenched LA is a whirlwind of showbiz parties and backstage passes. Cool, calm Christian, in town to write his famous friend’s biography, helps keep Meg’s feet firmly on the ground. But with Johnny’s piercing green eyes and a body Brad Pitt would kill for, how long will it be before she’s swept right off them again? out of mind, but that the man of her dreams, William Trust, has a girlfriend – a childhood sweetheart, no less. And as a Formula 1 racing driver, he puts his life at risk every day he goes to work. shoes, life promises to be nothing short of a whirlwind. I look up at Richard with his hopeful eyes. Now for the exciting part I had the chance to send Paige Toon a couple of questions and she so kindly answered for me. Here goes. 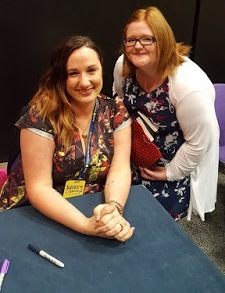 I love reading your books and even over and over again, did you enjoy writing them as much as we (the readers) love reading them? I absolutely loved writing each and every one of my books. Sure, at times I've hit a brick wall, but when that happens I try to take a step back and write a different scene about something that excites me. I always figure that if I don't enjoy writing, my readers won't enjoy reading. All the characters in your books are sort of linked together how did you come up with something like that? I love imagining my characters living in a sort of parallel universe - their stories continuing on and on, so it's nice to revisit them every so often - they're like old friends! Where do you get your inspiration from? I get inspiration from all sorts of areas - an idea might just pop into my head, or sometimes I'll read a book or watch a film and imagine things happening differently with a different cast of characters - ideas tend to spiral off from that. I'm an inspiring author what advice could you give to me and other inspiring authors out there?Get yourself a copy of the Writers & Artists Yearbook - there's a new one every year with loads of info about how to get a literary agent and some great advice. Also, check out a blog I wrote at simonandschuster.co.uk about how I got published. The sequel to Johnny be good is out soon I can't wait to see if Johnny and 'Nutmeg' get together. Were you intending to write a sequel when you'd wrote Johnny be good?It feels like I've always wanted to write a sequel, but actually, I think I first considered writing one when I wrote the epilogue. I wanted people to feel torn - I don't think I expected them to feel THAT torn though! 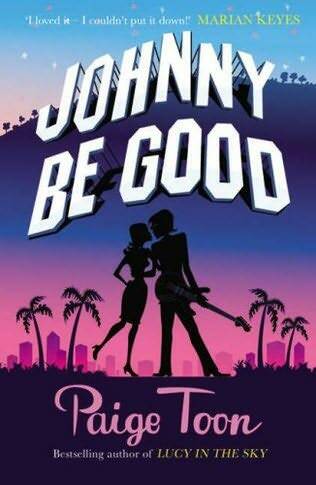 The sequel to Johnny be Good is out soon and here's a bit of what you can expect. I can't wait for it to come out been counting down the days since I found out. The cover and name of the book is still being deciding on. That's the question I fear the most. You see, I have a secret. My son is not fathered by my boyfriend, but by one of the most famous people that ever lived. And he doesn't even know it. Have you read any of Paige Toons books? What did you think? Is this the first time you have heard of her? Do you think the books sound good?? A MASSIVE thanks to Paige Toon and for making my entire day, month, year, decade and so forth. Also for taking the time out of her busy schedule and answering theses questions. I am a huge fan of hers if you haven't figured that out yet.